Hello hello.. So you might have seen that I had ordered the June Love Me Beauty beauty box. 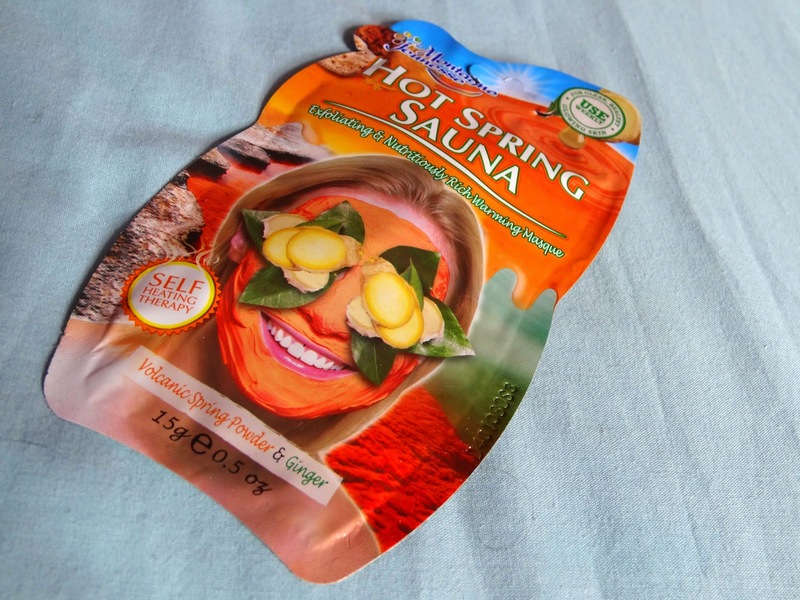 Within the beauty box you would have seen that I got the new Montagne Jeunesse 'hot spring sauna' masque! 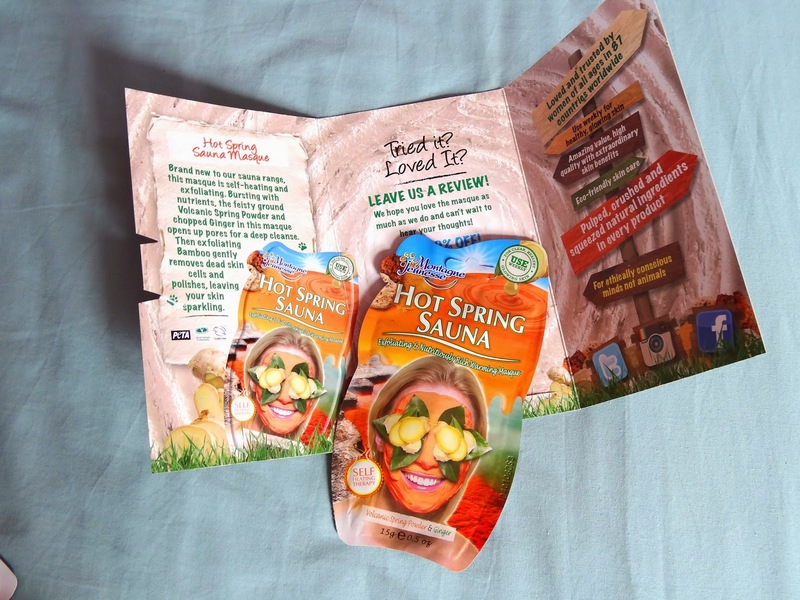 I do love a face mask (or two.. *wink wink*) so I couldn't wait to try this out! Self heating and exfoliating? Lovely jubbly! 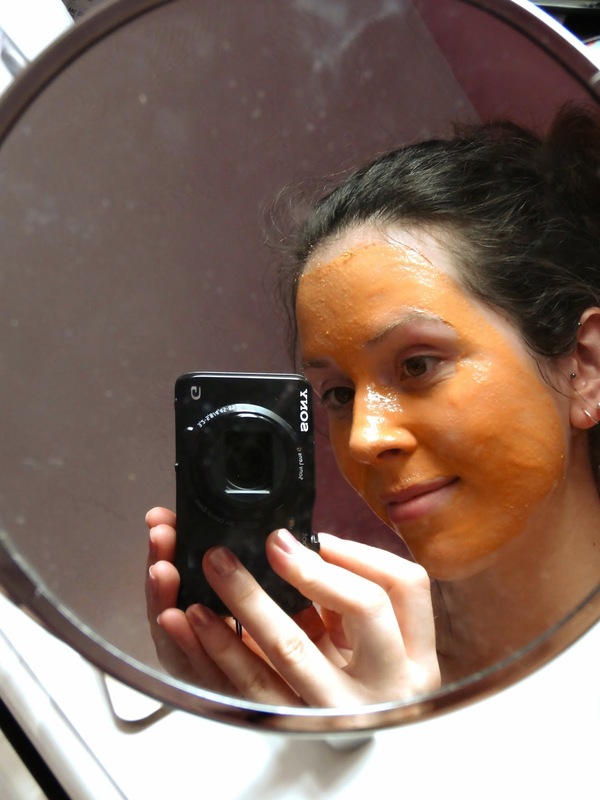 I'd say this mask isn't as creamy as the other mud masks from the Montagne Jeunesse range, although I'd say it is a better texture due to the exfoliating bamboo in the pack! One thing I like to look out for in a face mask is 'does it smell good?' - I think there is nothing worse than applying a mask that you just can't wait to wash off to be rid of the smell. This mask smells really fresh due to the ginger it consists of. Excuse the crappy mirror face and photo! I enjoyed putting the mask all over my face, then perhaps waiting about 10 minutes to let the goodness sink in. After that I massaged the skin with my fingers just to get best use out of the exfoliating factor before washing it off. My skin felt so awake and fresh after using this. I really recommend this mask to those of you that enjoy exfoliating products on a weekly basis. Fortunately the perks of having the Love Me Beauty Box gives the chance to share my discount code with you all! YAY! Click me to visit the website!